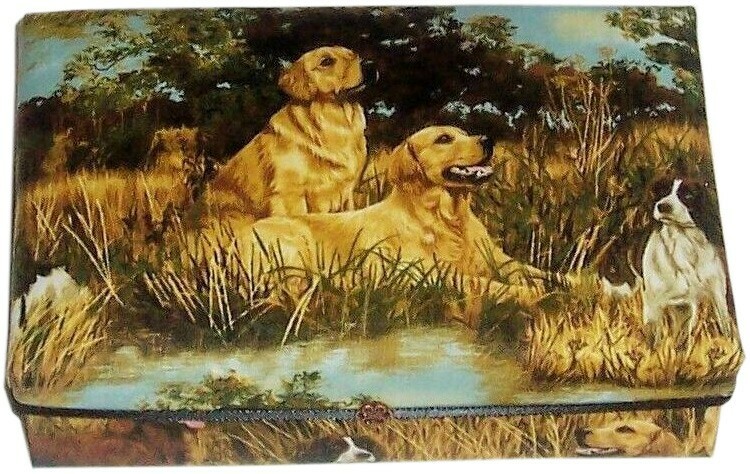 A pair of Labrador Retrievers and Spaniels await their master's commands in a woodland setting. 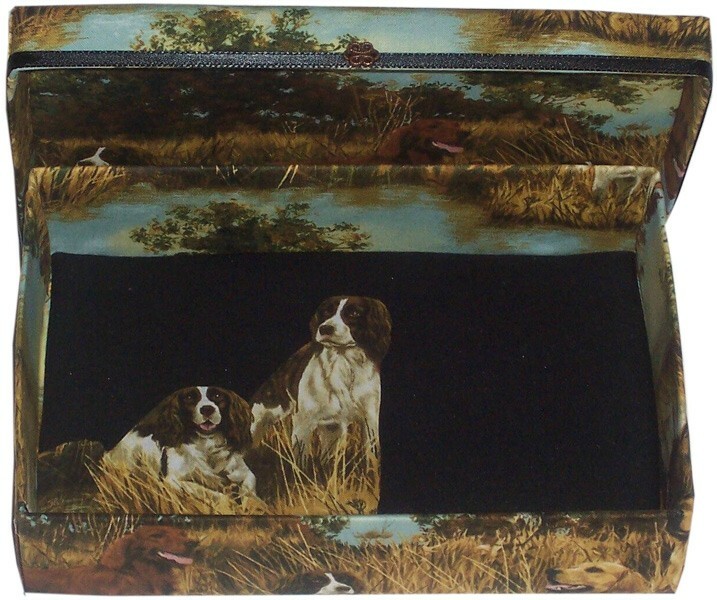 Decals of dogs appear on black fabric inside bottom of gift box; simple black ribbon adorns lip of gift box accented with antique bronze filigree. Comes in one size only - 8" x 5" x 2". This handsome gift box fits with any decor and serves as perfect place to store watches, jewelry, keys, coins and other 'dresser junk'.